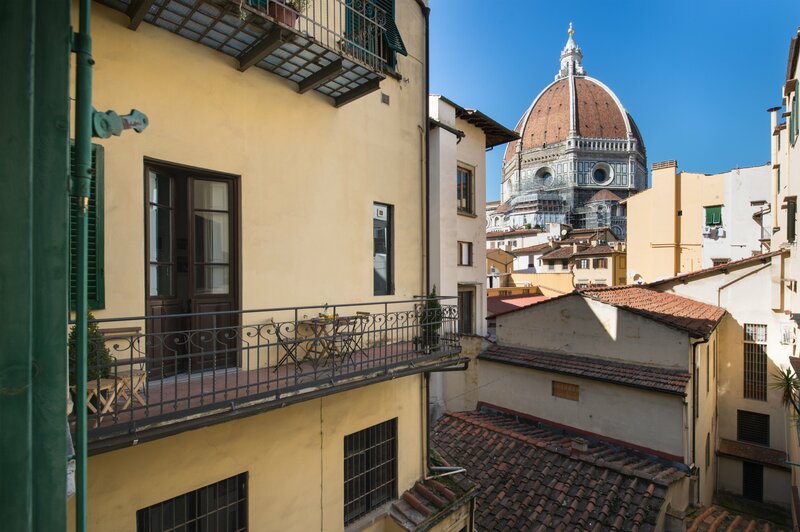 Looking for a place to stay in Florence with a view of the Duomo?? I got you covered! 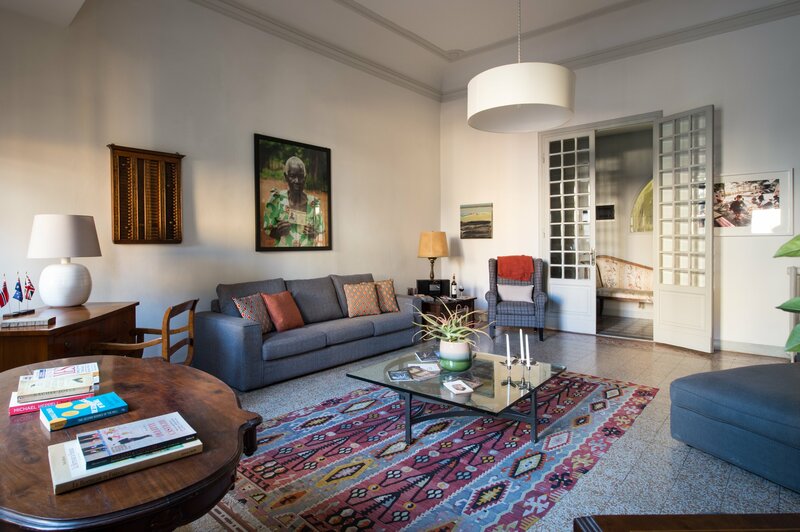 A stone’s throw away from the Duomo, in one of the best streets of the city is Asso’s Place- a luxury apartment in the heart of Florence. This 2nd floor apartment was my find on a dull Monday morning in Delhi. And a stroke of luck available on the dates I wanted! 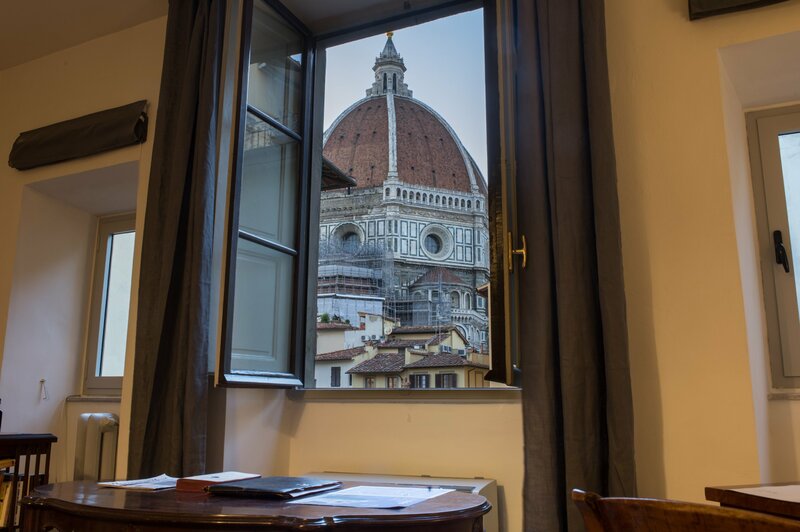 It is your answer on where to stay in Florence with a view of the Duomo! If you rent one room in the apartment, the whole apartment is yours! So no sharing with anyone which means- 2 bedrooms + 2 baths + a fully stocked kitchen + a spacious living room + a balcony all yours!! Win win! Florence’s Duomo is seriously the answer to sore eyes and heart. Waking to this view right in front of me was surreal. 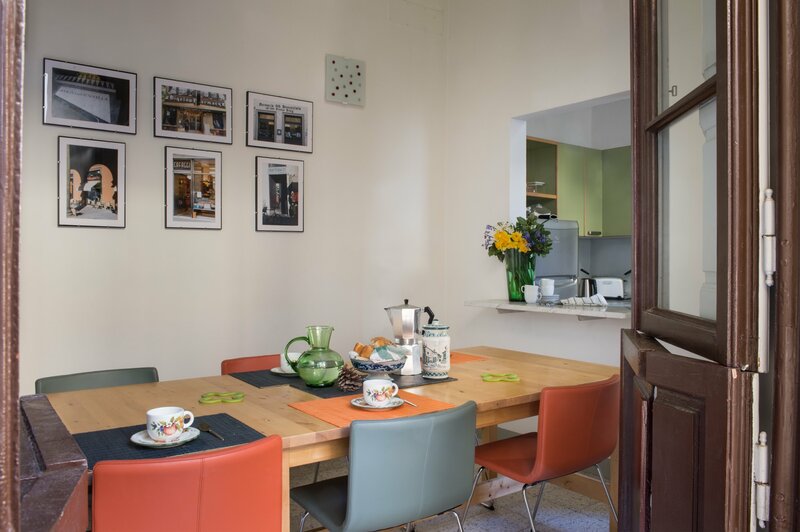 It was very comfortable being in the centre of everything yet being in a quiet apartment. When the bells chimed every hour, I had my own quiet moment..Just me and the Duomo. Some places are extraordinary and dreamy.. The hospitality here was par excellence. I was left a bottle of prosecco along with milk, cake and biscuits for my breakfast. There was a couch in the living room where I could relax with hand picked books by Piero himself. And of course I could sneak a view of the Duomo of Florence from there! 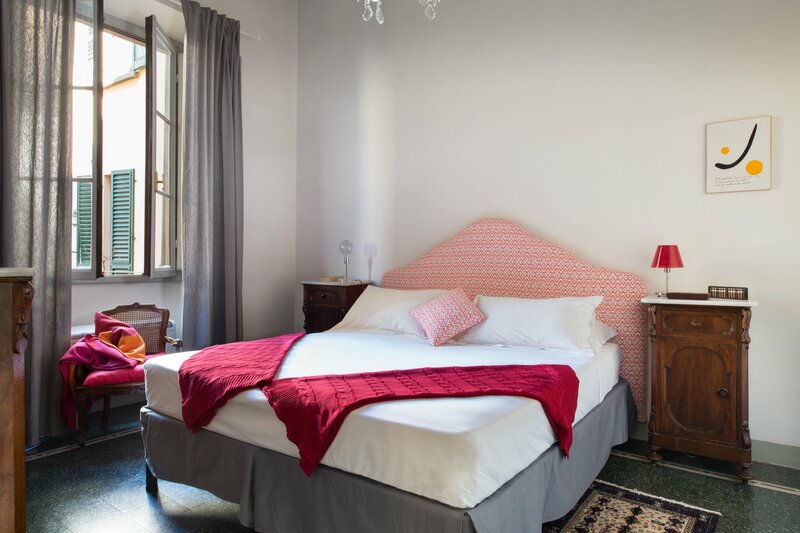 Use my PROMO CODE “ITALOPHILIA ASSO” and directly book your stay at Asso’s Place. 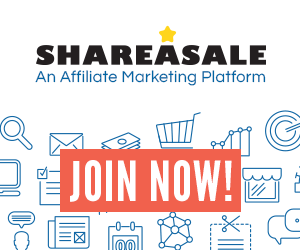 Get 10% off on your booking!! Piero Asso, a local from Florence, is extremely passionate about Florence. He volunteers to show Florence’s offbeat sites and neighborhoods to his guests and calls it “Walk with Piero“. I was privileged to be shown Florence in a new light! This is what I love about Italy- the people and the connections that come at the right time almost just when you need it and promise to last for a lifetime. Hoping to see Piero and his family in India one day. Disclosure: I was hosted for the 2 nights at Asso’s Place but as always, all opinions here are my own. Thanks Piero for providing me these lovely pictures! Thanks for the RT love, Lorelle 🙂 It is perfect especially when you are a 2 people or more. For a single person it might get costlier. Oh my…I cannot believe that view! What an amazing place to stay, and and so big for being in the heart of the city! Seriously! And I was dancing all alone in the apartment. haha! although we have stayed plenty of times in rented apartments when in Florence, I never heard of this place before. Is it new? Also maybe you could mention the price of a rental. Glad you had such a lovely time there. Wowee–that’s a great view. When we were in Florence we were going to the cheap and not-horrible route, but the if I ever go back I’d definitely like to stay a bit closer to the center of it all. And with a view like that, who could complain? 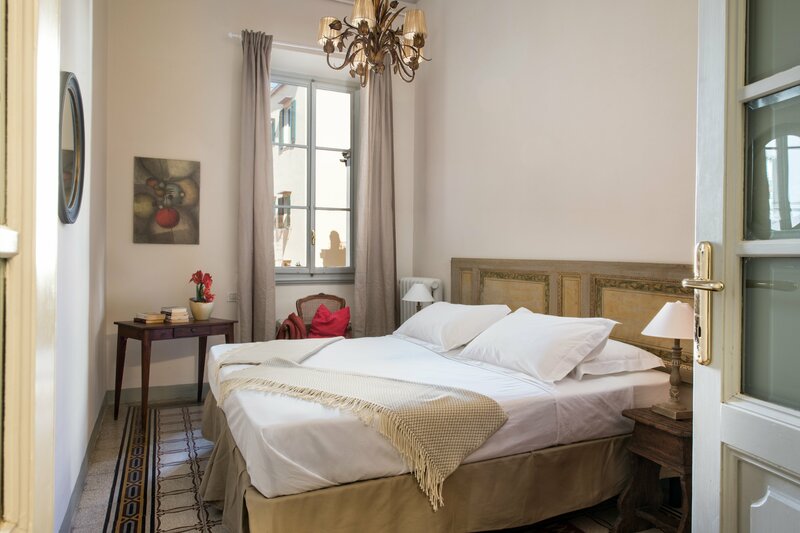 These photos look so European I love the vine the room is giving off, fab photos thanks for an honest review! I was thinking of Florence before I decided to go to Turin. At that time I was thinking of a place not that famous or the usual tourist destination so Turin it is. I hope to see Florence next time! Your photos looks beautiful and nice to laze around. Thank you dear 🙂 Both are such different cities and so great. Turin is definitely a hidden gem and not as famous though.